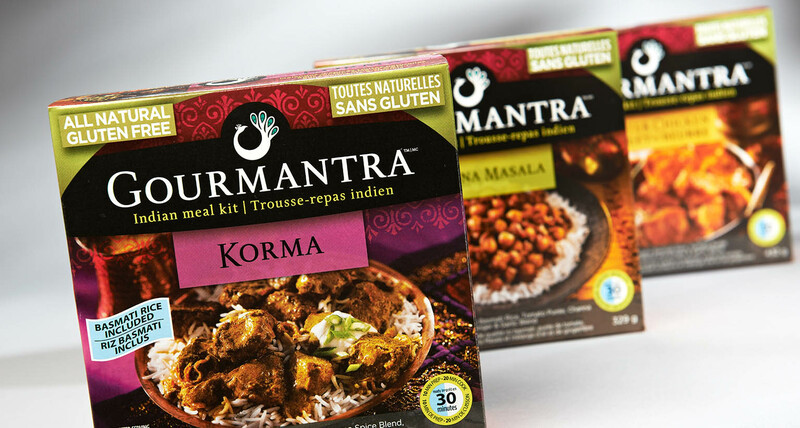 In January of 2007, Rasika enlisted Shikatani Lacroix to assist in developing a brand identity, packaging, and direction on how to position their new product within the marketplace. 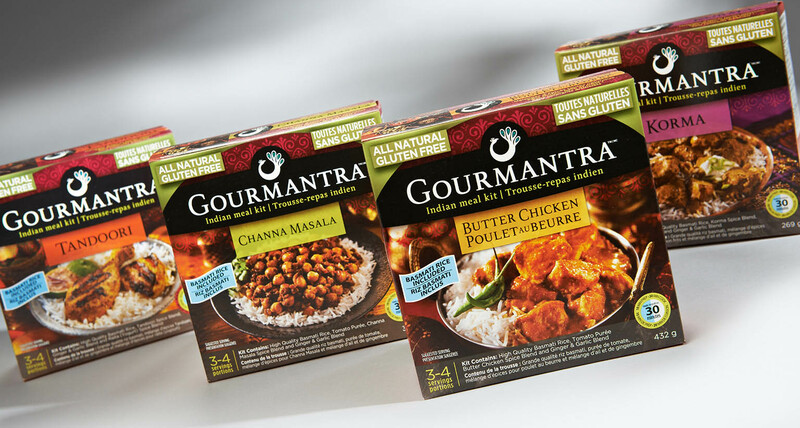 The full line of Gourmantra meal kits was launched in February of 2008. 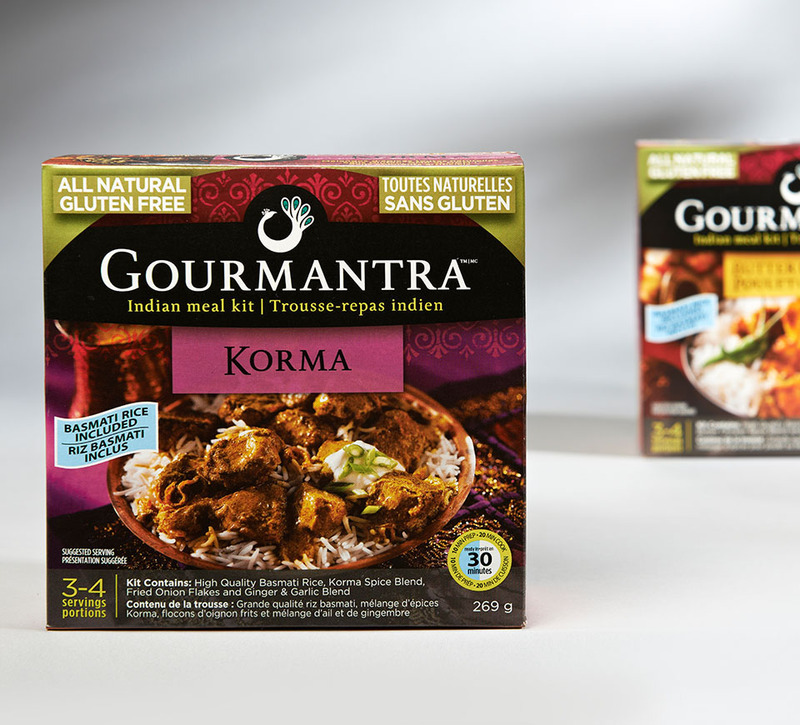 Growing up in Markham, Ontario, sisters Rachna and Mona Prasad always raved about their mother Rekha’s traditional Indian cooking dishes like Butter Chicken, Korma, Channa Masala and Tandoori. They wanted to share their love for these dishes. They wanted to make it easy for anyone to make them. 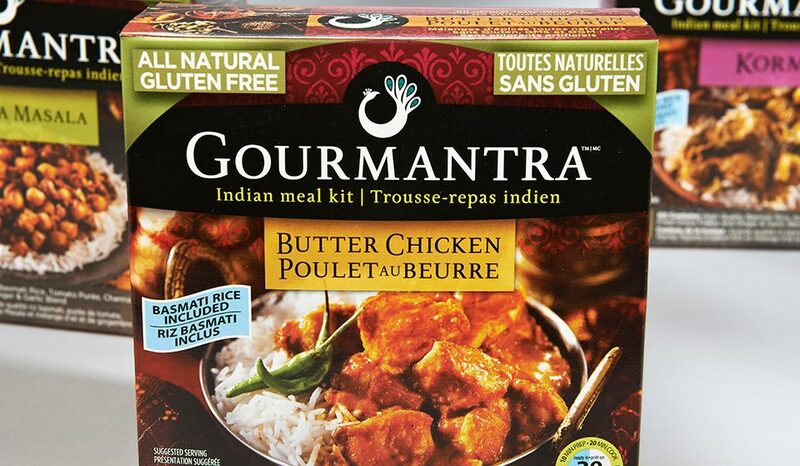 That was the genesis of Gourmantra meal kits. 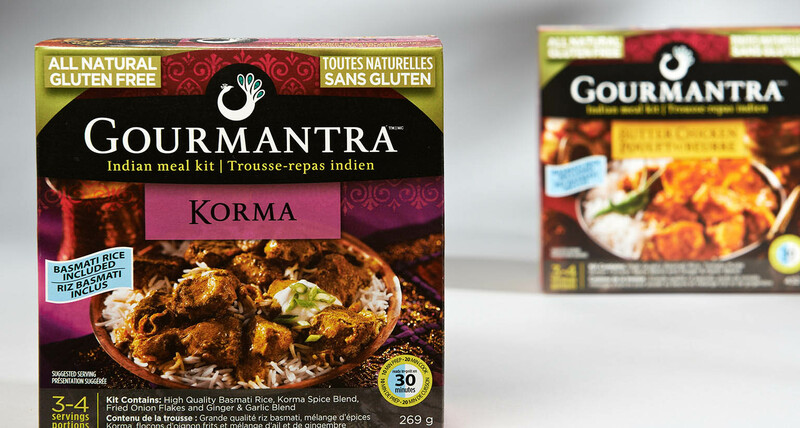 Rasika was a start-up company that was launched on the strength of a great line of Indian spice blends sold at food fairs and through direct mail. The spice blends were the creation of a mother and daughter team whom had won a new product contest conducted by Coopers & Lybrand consulting firm. In January of 2007, the organization enlisted Shikatani Lacroix to assist in developing a brand identity, packaging, and direction on how to position their product within the marketplace. 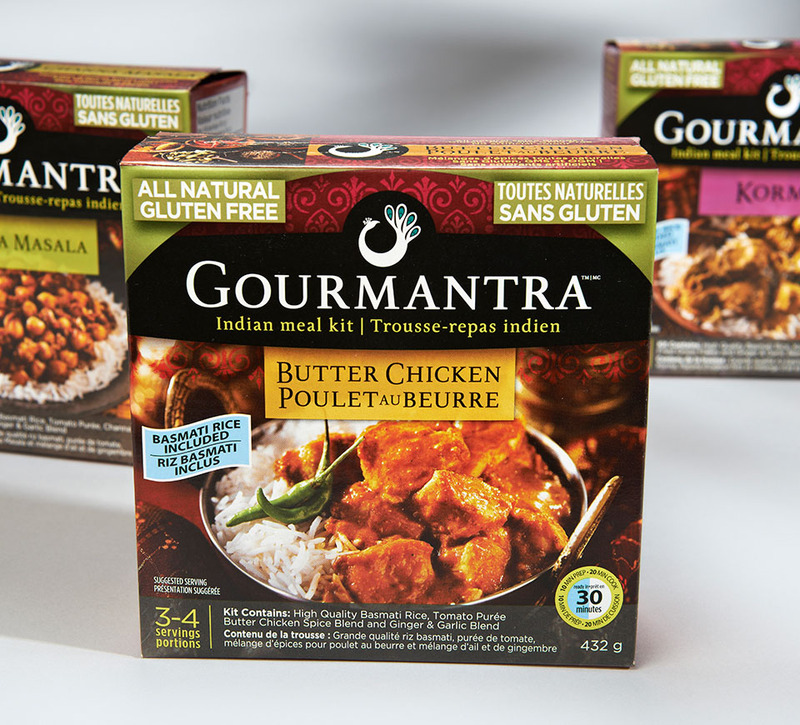 The full line of Gourmantra meal kits was launched in February of 2008. 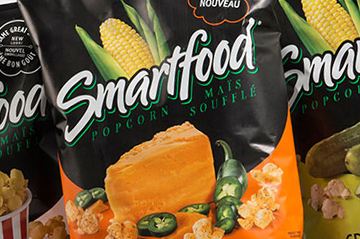 The main challenge for Shikatani Lacroix was to ensure that the product line was effectively positioned in the grocery market. 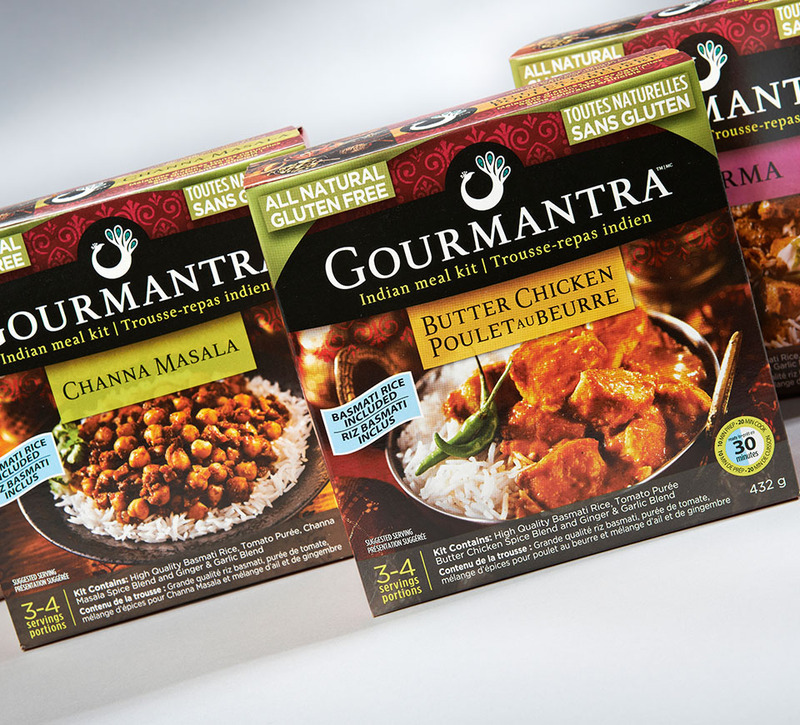 Before commencing packaging design, it was essential to create a successful strategy that spoke to the appropriate consumer base in order to generate long-term growth for the new brand. 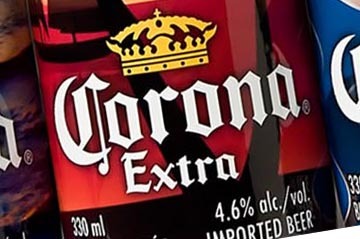 Shikatani Lacroix’s strategic approach identified key consumer segments, as well as known and hidden need states, which helped form part of the positioning and packaging concepts. 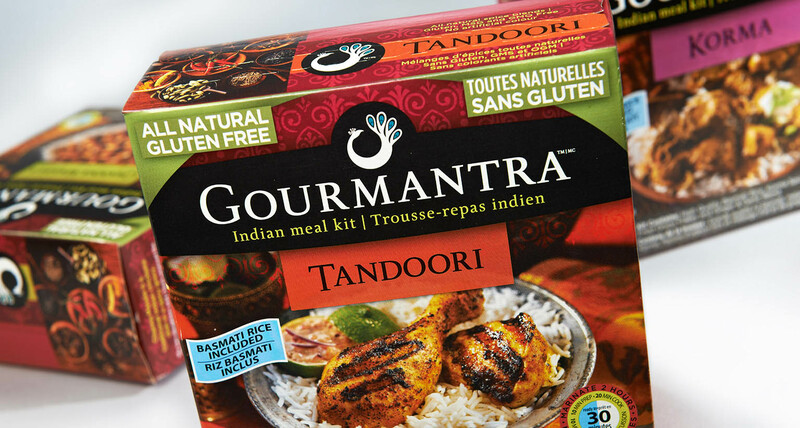 This complete Indian meal kit was a brand new product; different from anything else that existed in the marketplace. 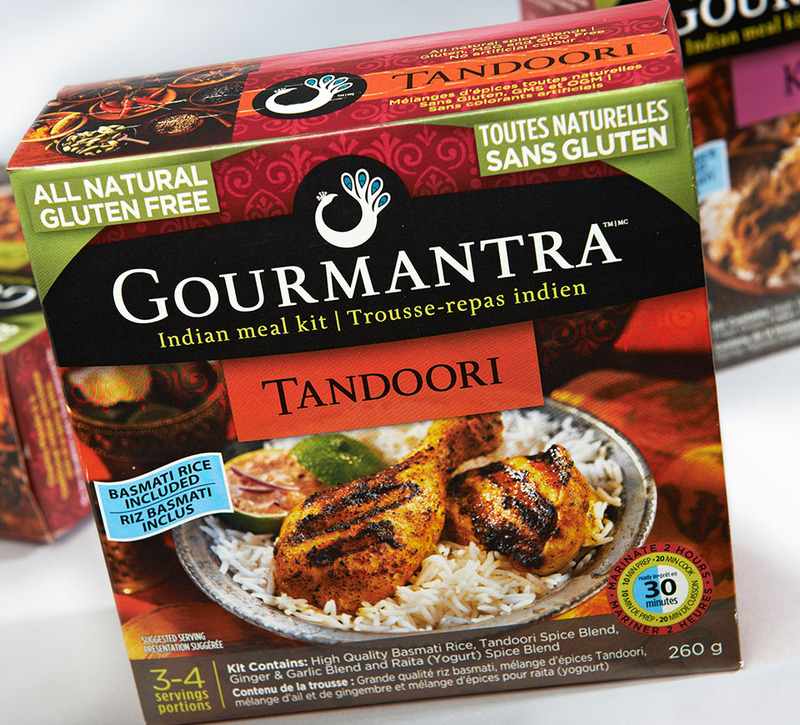 The client had sourced a variety of exotic Indian spices and had original family recipes to work with. 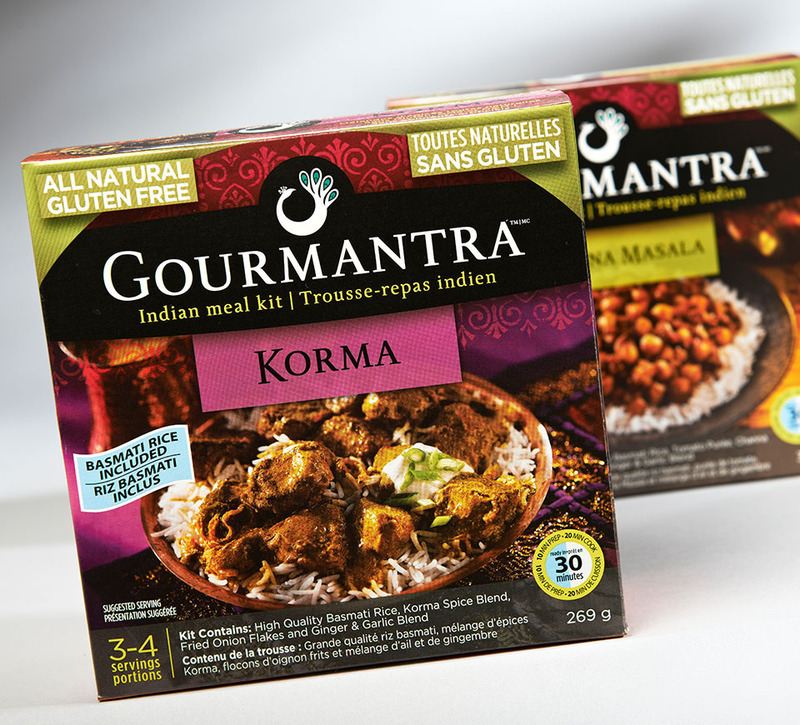 Authentic Indian cooking is traditionally a very laborious task. 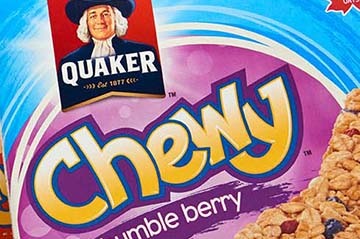 It was Shikatani Lacroix’s role to create a brand image for this unique product through packaging. The challenge was to communicate to the consumer the products authenticity, as well as ease of use. Our strategic approach to design ensured that the solution we provided met all business objectives and achieved a quantifiable return on investment. We designed for tangible effects: measurable results in increased sales and augmented consumer loyalty. For Rasika, it was essential to have a strong understanding of the consumer’s attitude towards shopping this category. It was necessary to look at leading Asian brands and how they position themselves within the North American retail landscape. This would allow us to identify positioning opportunities that Rasika could own in order to create a unique and ownable point of difference within the category. 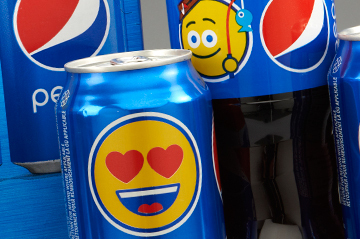 In order to garner the consumer’s trust it was critical that the brand image and name capture the authenticity of the culture and not alienate the more mainstream, less adventurous consumer. We simply didn’t rest until we uncovered the full story. As we always do, we began with a rigorous brand discovery SWOT (Strengths, Weaknesses, Opportunities, Threats) analysis to determine the brand’s point of difference. In this phase we conducted a 360-degree review, and explored everything that was known, tried, tested, researched and true. Our analysis was based on the strategic insights of marketers, consumer research, and competitive surveillance. Knowing your competition and identifying your strengths and weaknesses can be your best advantage. Our SWOT analysis took an in-depth look at the playing field as it existed within the category and mapped out a focused path to ensure on shelf success. Shikatani Lacroix identified, based on the learning from the market assessment, a range of potential positioning options that would form part of the design and naming process. Shikatani Lacroix developed six potential brand positions and a short list of names to support each position. Brand expressions were developed to verbally define each position. Concepts were taken into quantitative research to validate the direction of the Rasika brand. Research results enabled Shikatani Lacroix to further develop and fine-tune the recommended direction. Now it’s time to put our creative insights to the test. Design exploration: we explore the practicalities by delving into real-world scenarios. 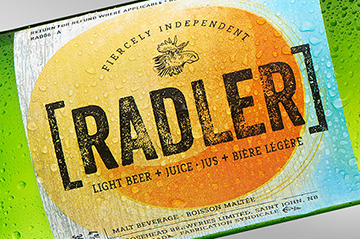 Design refinements: we extend our creative insights to applications that may include potential brand identities, line extensions, packaging configurations, or retail shopping environments. Virtual reality: we leave no stone unturned to explore the “what-ifs” of the brand creation process. Shikatani Lacroix generated 270 potential names. We then researched and developed a wordmark for six. A full range of creative directions were explored to visually fulfill the four positions that tested best, based on research findings. The final direction was determined through extensive research findings. 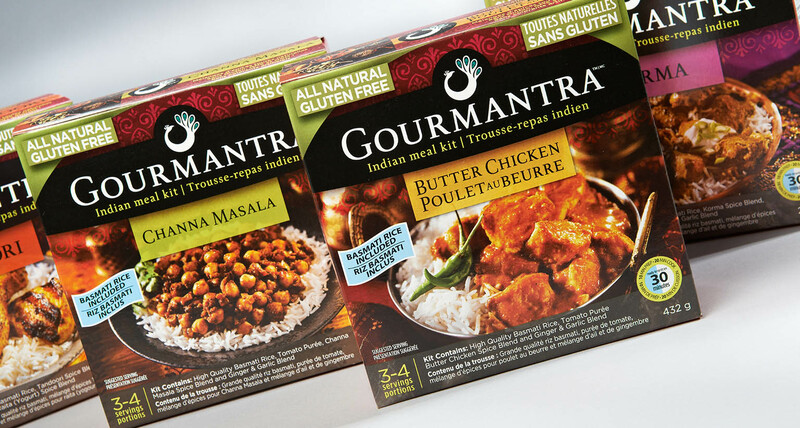 By very slight margins, Gourmantra came out on top. Driver analysis was consistent with previous findings that is, the key opportunity was “easy family pleasure.” The secondary opportunity was “restaurant meals at home.” As “easy family pleasure” was the core opportunity, it was determined to save “restaurant style” for as a possible line extension idea in the future. The final stage of the creation process involved preparing the print-ready digital design files. This phase was one of the most critical, as any error at this point could be costly and have a huge impact on the project timeline. It was at this point where every element was scrutinized and finalized; copy, colour, imagery, printing specifications, and dielines. 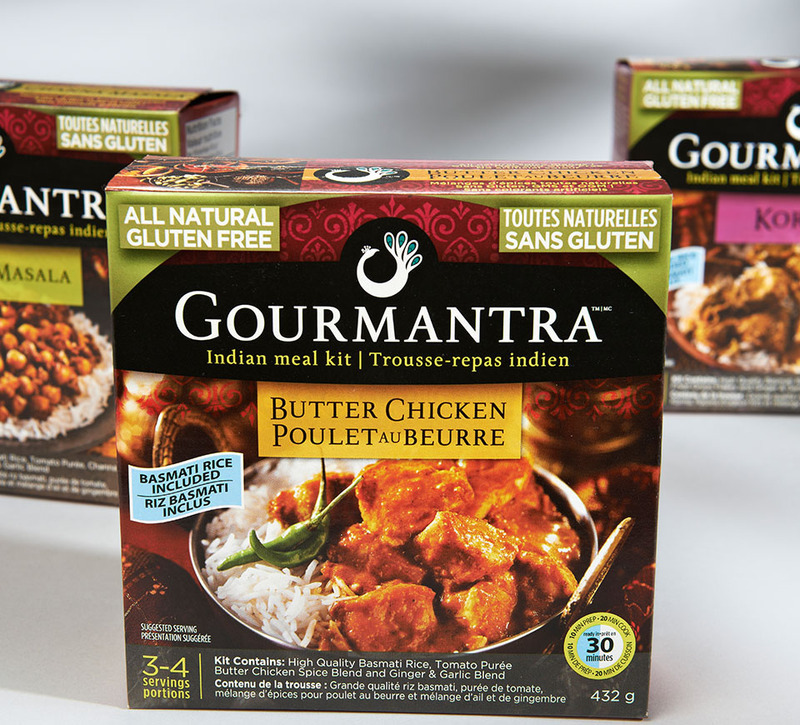 Shikatani Lacroix’s created and delivered a full strategic process and approach relating to positioning, name generation, branding, and package design. Sell-in to the trade and sell-through exceeded sales targets for the first two months.